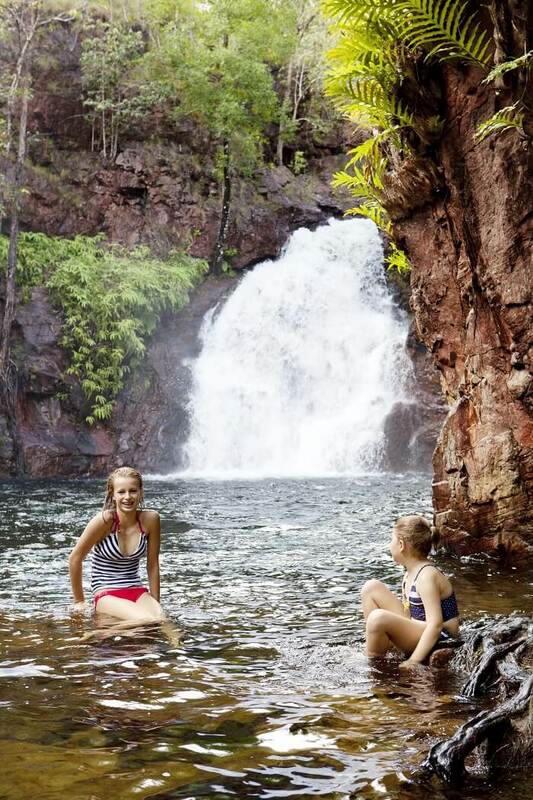 Get to know the top-end of Australia on this incredible 3 Day Kakadu and Litchfield Tour. This 4WD adventure takes you deep into the great outdoors, and gives you the chance to experience the beauty of this region. Sleeping bags can be hired for $15 (Paid in cash on the morning of the tour before departure). 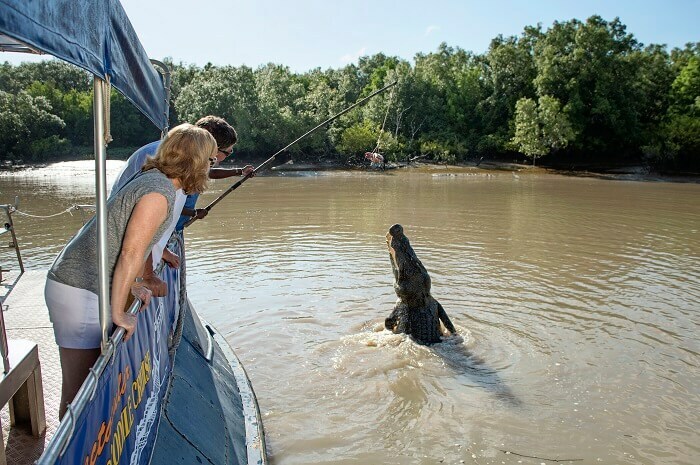 We start day one of the 3 Day Kakadu and Litchfield Tour by heading straight to Kakadu National Park and taking a crocodile jumping cruise. During this time, you’ll get to learn more about some of Australia’s oldest creatures and discover some of the unique local wildlife. 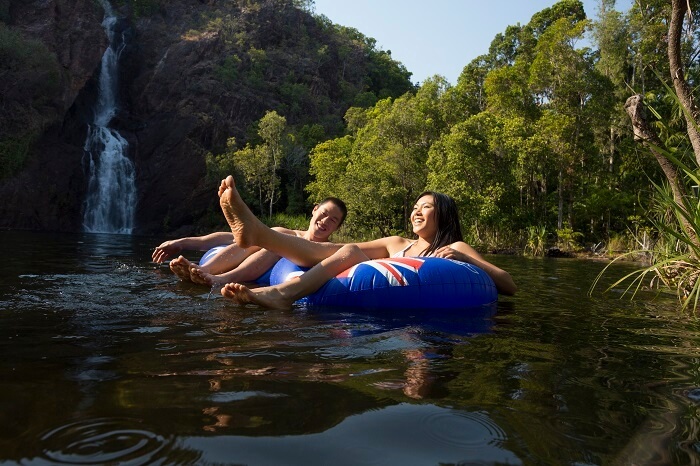 Afterwards, we’ll head into Kakadu and enjoy a picnic-style lunch on the pretty banks of the East Alligator River. Once in the park, it’s on to Nourlangie Rock, where you can discover Aboriginal rock paintings that date back thousands of years. We’ll take you to the Warradjan Cultural Centre where you can learn more about this part of Australian culture before we walk up to Gunwhardewharde lookout for spectacular views. 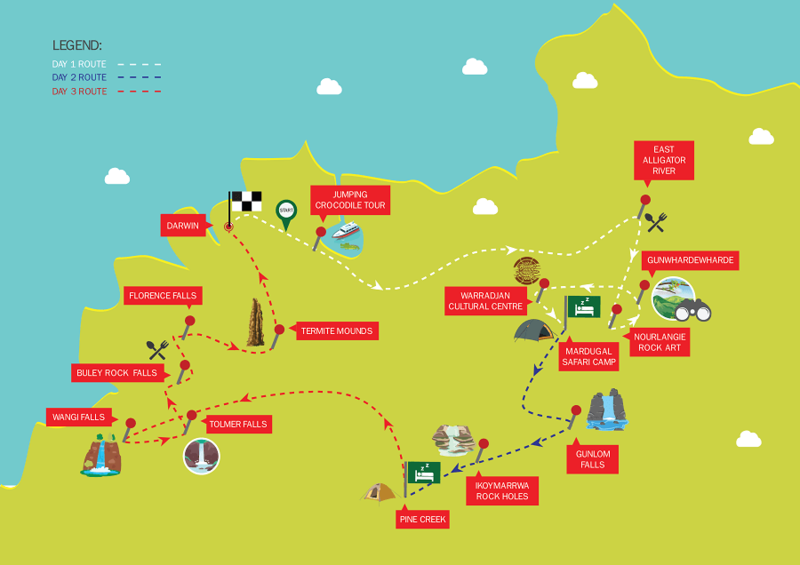 In the afternoon it’s on to Mardugal Safari camp, where we’ll indulge in an Aussie BBQ and camp for the night. We start the day early by heading to Gunlom Falls or Yurmikmik. At the end, you can take a refreshing swim before we head off in the 4WD to Ikoymarrwa Rock Holes for another dip. This is a special permit-only area with a unique insight into the cultural sensitivity of the region. Afterwards, we’ll head to our camp at Pine Creek where you can enjoy an air-conditioned room for your second night on the 3 Day Kakadu and Litchfield Tour. 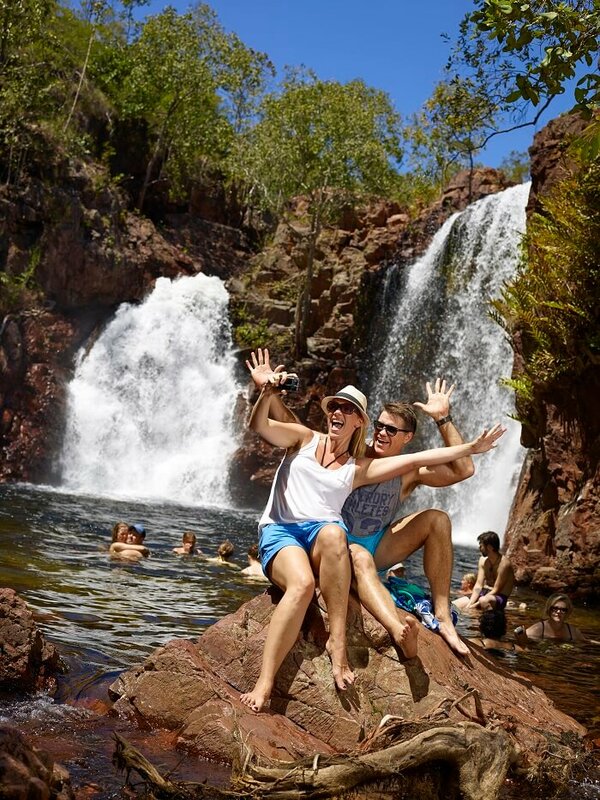 On the final day of the 3 Day Kakadu and Litchfield Tour, we make our way to Litchfield National Park, making our first stop at Wangi Falls for a swim in its pretty plunge pool. Then it’s on to Tolmer Falls for stunning views over the surrounding scenery and a picnic lunch at the impressive Buley Rockholes. We’ll have a picnic lunch before heading on to Florence Falls and then back to Darwin via the quirky termite mounds that Litchfield is renowned for.